Frank Addington Jr. was 18 when his mentor and Archery Hall of Famer, Rev. Stacy Groscup, challenged him to shoot a Pepsi can out of mid-air. At the time, Addington tossed targets for Groscup while quietly hoping to one day get his shot. 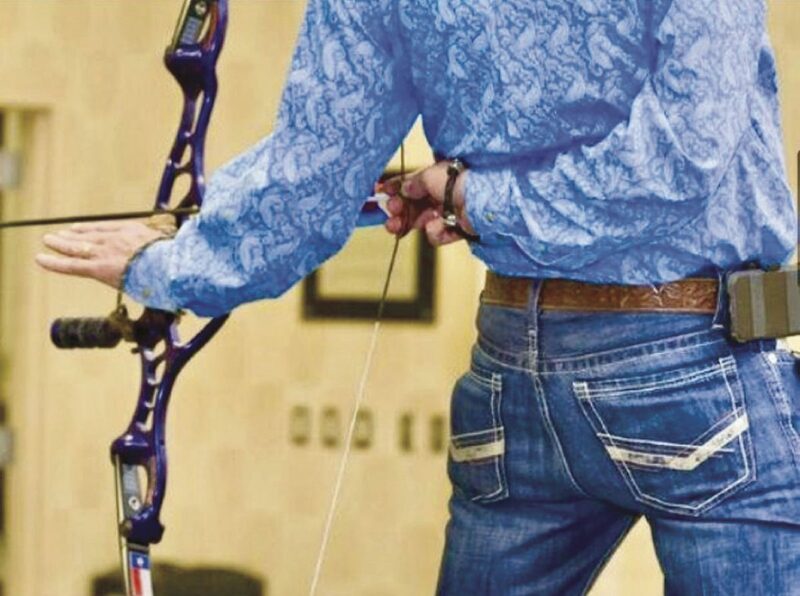 Since then, Addington has earned a name in exhibition archery, shooting his bow behind his back and booking gigs across the country. This weekend, he brings his unique brand of shooting to the Texas Hunters & Sportsman’s Expo at the McAllen Convention Center. Because of Addington’s “crazy-good vision,” he said, shooting instinctively — focusing on the target rather than the weapon or an aiming device — is his style, which he calls the Groscup Method, named after his late friend. 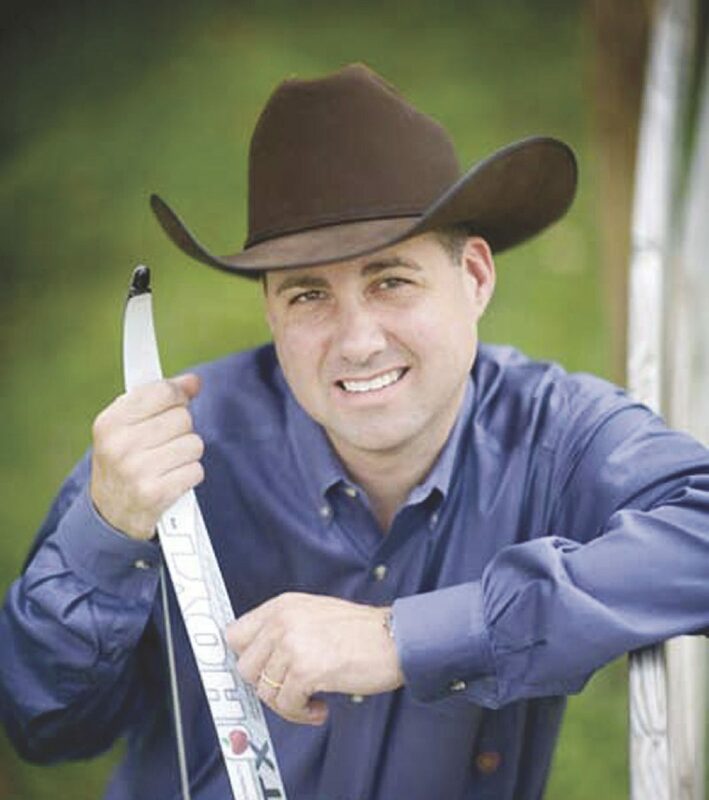 Growing up, Addington’s parents owned a retail archery business. He said he had a bow in his hands since the age of 4. His accuracy and 20/8 vision made him a prime candidate for Junior Olympic Archery Development. Specifically for moving targets and quick shots, he said, instinctive shooting is the best way to shoot. Shooters can be very precise with sights, his approach helps him with fast-paced shot and hitting objects in mid-air. By taking all his from behind the back, he says that demonstrates that he isn’t lining up his arrow. “I always ask the audience, ‘I don’t have any eyes in the back of my head, right?’” he asked rhetorically. Audiences this weekend will see Addington hit targets of decreasing size. But his most impressive shot will be hitting something only a few millimeters wide — grains mustard seeds. Aiming at small targets isn’t anything for exhibition shooters. Groscup was the first to hit an aspirin tablet, Addington said, and the only to strike seven in a row. The 51-year-old continues to honor Groscup, a man he called his “second father,” in his show by shooting baby aspirin, sometimes multiple at a time. He calls his eyesight a gift given from God, and says we all have talents that should be developed. The expo will feature vendors booths and exhibits for anglers, sportsmen, women and more.